Flemingate, Beverley, has welcomed more than 1.5 million visitors since opening last November. The £120m retail and leisure destination masterplanned by The Harris Partnership set a new record in the week of its first anniversary as more than 40,000 people flocked to the centre with numbers expected to continue to climb in the run up to Christmas. 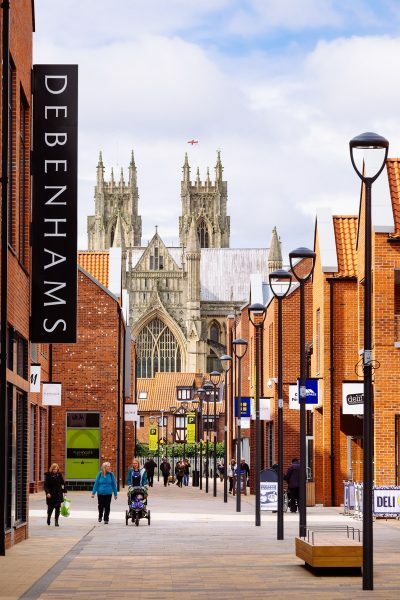 One of just 4 new town centre developments to open in the UK in 2016, Flemingate has attracted a raft of grad A retail and leisure brands and is credited with having had a transformational impact on the local economy over the past 12 months.